Camera 360 app is a very renowned app on the internet. You can use this app to take photos and manage them easily on your own iPhone, Android device or computer easily. This app will help you in various ways on different occasions to manage all your photos. If you have accidentally deleted or lost your Camera 360 app photos, then you are reading the right article to solve the issue. With the help of this article, you will be able to learn how to recover deleted photos from Camera 360 in 2 different ways and devices. It’s really easy when you have the perfect guideline to execute the recovery process and the best software on the internet to back you up. This article will give you that guideline to recover deleted photos from camera 360 on iPhone/Android phone/computer in no time. The best way to recover deleted photos from Camera 360 on iPhone is by using iBeesoft iPhone Data Recovery software. This tool is an all-in-one iOS data recovery for you to recover lost data from iPhone, iPad and iPod touch, iTunes and iCloud backup files. It can recover data lost in various issues such as accidental deletion, system crash, virus attack, reset factory settings, damaged, iOS update, jailbreak, other scenarios etc. It will also help you to recover almost all the file types on the iOS device including photos, contacts, videos, text messages, notes, call history and more. The simple and easy to use interface will allow you to easily recover deleted photos from Camera 360. Here is how you can do it. First, you need to download, install and launch the Camera 360 photo recovery software on your computer. Now connect your iPhone by using a good quality data cable on your computer. The program will automatically detect your iPhone device. 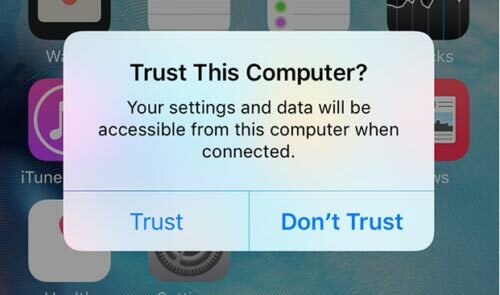 If it doesn’t then you need to check your iPhone and trust the computer. Tips: In order to better recover permanently deleted photos from iPhone, you need to have or install the latest iTunes on your computer. If you don’t have it, you can easily get it from the Apps store. Step 1. from the main interface of the software, you need to select "Recover from iOS Device" option. 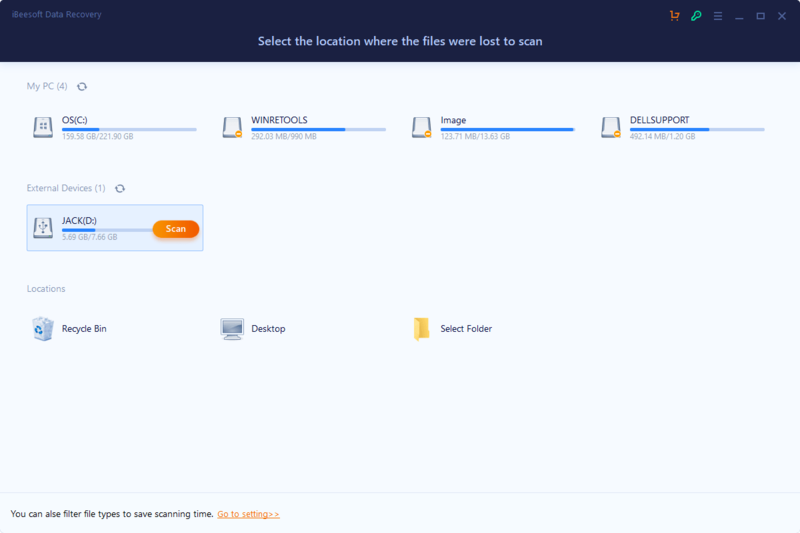 Then click on the "Start" button to start the scanning process of your lost data. Step 2. It will take a few minutes till the software completes the scanning process. After the scanning finishes, the software will display and categorize all the files that exist on your iPhone memory. All you need to do is, choose "App Photos" or "Photos" from the left side and then you will be able to preview and choose all the lost photos that you want to recover. 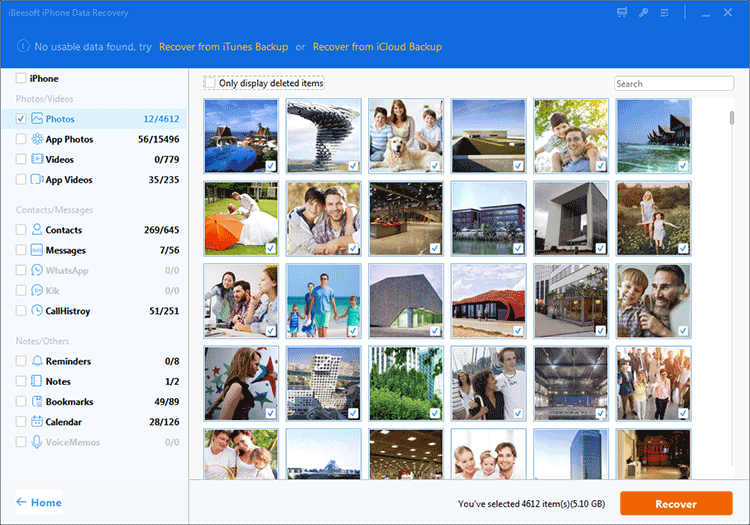 Select all the photos that you need to recover and click on the "Recover" button to start recover deleted photos from camera 360 on iPhone. Within a very short time, all your photos will be recovered on your computer. 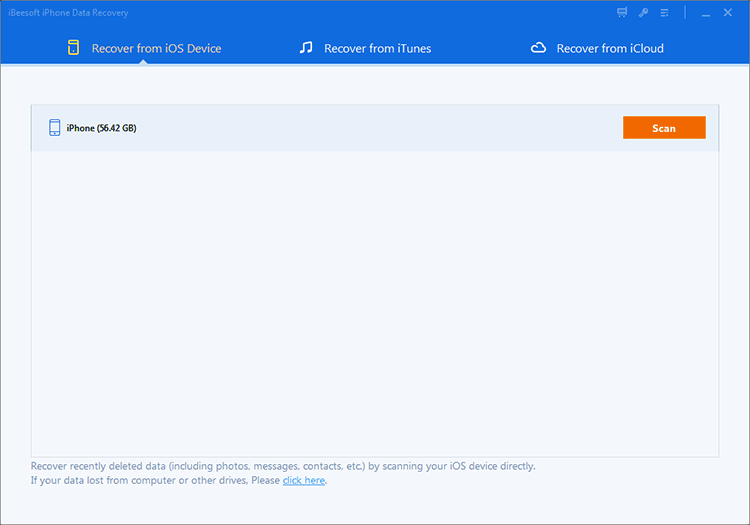 As you see, there are other 2 options to recover Camera 360 photos on iPhone: via iTunes backup and iCloud backup. If you’ve done the backup, you can try the 2 ways as well. If you want to recover deleted photos from Camera 360 Android phone, then the best tool that you can use is iBeesoft Data Recovery software. It can give you a guaranteed 100% successful result without any failure. It will also be able to help you to recover deleted Camera 360 photos on computer in no time. It doesn’t matter if you don’t know how to recover deleted photos from Camera 360 app Android, but with the guideline from this part, you will easily be able to do it. User-friendly and advanced system for any kind of photo recovery. 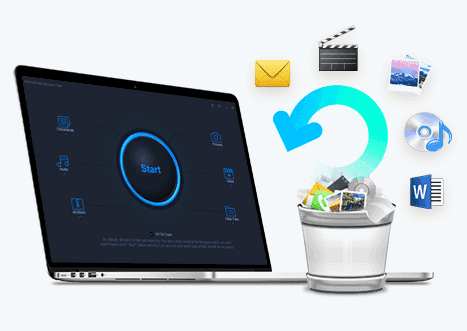 Give you stable recover deleted photos on Mac or Windows when accidental deletion, formatted drives, reset your Android phone, operating system crash, virus attack etc. It can recover deleted/lost files from hard drive/partition, external hard disk, RAW drive, SD card, USB drive etc. Here is how to recover Camera 360 photos on your Android phone/computer by using this tool. First, you need to download and install the Camera 360 photo recovery program and connect android phone to your computer. Step 1. after launching it, you need to choose the data that you want to scan from your computer. As you want to recover deleted Camera 360 photos, just choose "Photos" and unselect any other option or avoid them. Then click on the "Start" button to go to the next step. Step 2. You need to select the one that contains your Camera 360 photos. In this case, you will have to select your Android device and click on the "Scan" button to scan and recover deleted photos from Camera 360 on android phone. Step 3. this software will scan your Android device that you have selected and display all the data after the scanning process in finished. From there you need to check your Camera 360 photos from the left side menu. Then preview and select the photos that you want to recover. Finally, click on the "Recover" button from the top right corner of your screen to start the Camera 360 photos recovering process. You need to keep patience and wait for some time till the recovery process completes. The total time depends on the file size that you are recovering. All your Camera 360 photos will be recovered on your computer in a very short time. You can transfer the Camera 360 photos to your Android device if you want. This article will help you to recover deleted photos from camera 360 without worrying about losing any data or damaging your files. All you need to do is follow the step by step guideline and use the software to recover deleted photos from camera 360 on iPhone/Android phone/computer. The iBeesoft data recovery software are the best tools to give you any guaranteed result, because no other software can do that. So without wasting your valuable time on anything else, start using these tools.